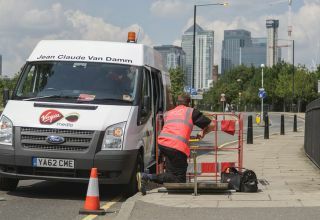 Virgin Media has announced that it is expanding its fibre optic network across East London in what it calls, the largest, single such project since the company launched seven years ago when Telewest and NTL merged. An estimated 100,000 homes (and a fair few businesses) in nine E post codes will benefit from the company's broadband - up to 152Mbps - and quad-play offering. The roll out is expected to be swift given that the network engineers will be using existing cable ducts, thereby minimising disruption in the area as they don't need to dig up roads. Tom Mockridge, CEO of Virgin Media, declared in a statement "This is a significant investment for Virgin Media and our largest, single network expansion project to date, We are very proud to be supercharging East London, helping thousands of people make the most of the U.K.'s exciting digital future." The company, which was acquired earlier this year by US giant Liberty Media, also published its second quarter results showing a small revenue increase to £1.05 billion (about $1.7 billion, AU$1.8 billion). The growth was sustained by price increases and an increase in customers in absolute terms. ARPU also went up as more customers subscribe to the more lucrative triple-play packages.